This page contains a single entry from the blog posted on February 3, 2007 12:42 AM. 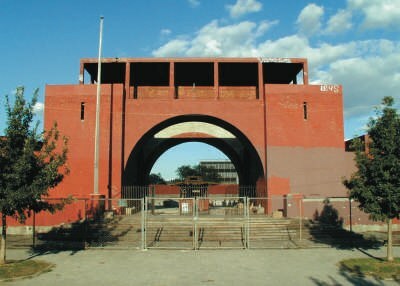 The Waterfront Preservation Alliance is committed to the preservation and revitalization of Greenpoint & Williamsburg. During the past year, the built fabric of our neighborhoods have come under threat from any number of directions: development pressures of a booming housing market; a massive rezoning that placed more emphasis on development and affordable housing than on neighborhood context and quality of life; a City Council that chose to ignore the community’s wishes on the designation of 184 Kent Avenue; and a massive fire that claimed the most significant components of the Greenpoint Terminal Market. 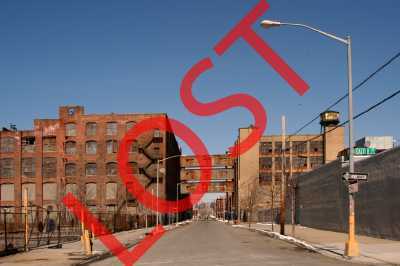 There can no longer be any doubt that the industrial buildings that defined our neighborhoods are now under threat. So too is the rich fabric of residential, commercial, civic and religious buildings that surrounds these industrial artifacts. 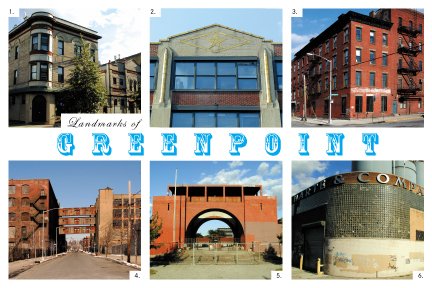 As our neighborhoods undergo long-anticipated change, it is important to remember and protect the built fabric that defines the character of Greenpoint & Williamsburg. We have an opportunity right now to encourage smart and appropriate new development while at the same time preserving our neighborhood character and history. Shown here are just a few of the existing buildings that define the character of our neighborhoods. 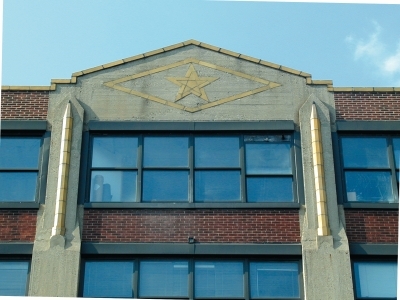 If you know of other buildings or blocks that should be protected, or if you would like to help WPA protect our architectural heritage, please write us at landmarks (at) waterfrontalliance.org. 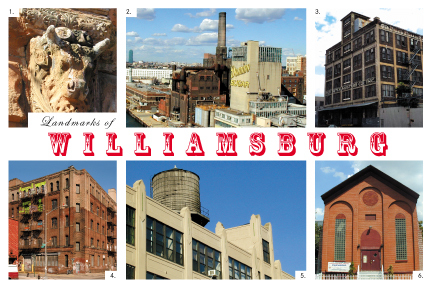 If you see our postcards in neighborhood shops, please take a moment to fill one and send it in to the Landmarks Preservation Commission (if you must, keep one for yourself). 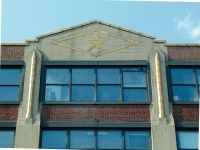 Or, send an e-mail supporting WPA to the Landmarks Preservation Commission by clicking here. The Domino Sugar Facotry's architectural integrity should be maintained whatever it's new life may be.